Skye Gravestones | Jean & Marion Macleod. Malcolm Macaskill. Jean & Marion Macleod. Malcolm Macaskill. 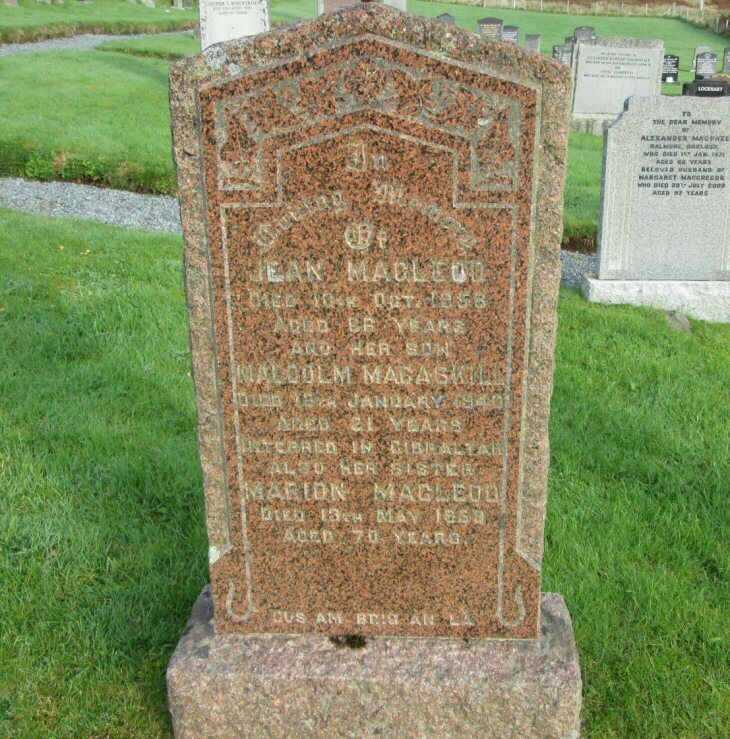 In/loving memory/of/JEAN MACLEOD/died 10th Oct. 1958/aged 66 years/and her son/MALCOLM MACASKILL/died 13th January 1940/aged 21 years/interred in Gibraltar/also her sister/MARION MACLEOD/died 13th May 1959/aged 70 years. Gus am bris an là.